There are many considerations when obtaining a new building, whether it be a home or business. To know if rekeying the locks are adequate, or if a new locking mechanism is the more the optimal choice, several questions must be answered. Is the building newly acquired? What types of locks are currently installed? How old are the locks? Are the current locks adequate for my security levels? How many people could potentially have a key to the current locks? All these questions answered can make the choice more clear when trying to decide on rekeying or replacing locks. When a professional locksmith rekeys a lock, the lock tumblers are changed so that each wafer is in a different order than before. The locksmith ensures the new code from the lock tumblers do not coincide with the old keys. Locks with a security grade, or ANSI, Grade 1 or higher are able to be rekeyed. –	For convenience, the locks can be keyed to the same key. –	Generally, a lower service cost. 1. Lock receives damage from a break-in or similar circumstance. When components of the locking mechanism become disconnected from each other, it is in need of a change. When locks that have been separated from the door frame, or that the lock is so worn or damaged it no longer catches securely; a new lock should be installed. 2. Locks are outdated for replacement parts. In many old buildings, including homes, locks that have been installed decades ago are no longer being manufactured, nor their replacement parts. Despite the fact of not having a replacement part obtainable, chances are the old locks are obsolete, and easily overpowered. With locks continuously being modernized in high technological advances, installing new locks provide a higher quality of security. 3. Security defenses need to be heightened. With a low rating on a lock, it is imperative you install an upgraded lock. Investing in a lock with a minimum ANSI 1 level means the locks are not easily tampered with. With many options in companies manufacturing locks, it’s important to utilize a lock with a reputable company with excellent reviews and high ratings. There are many DIY kits to replace the locks to your home or business, however, to gain superior efficiency in your locks, hiring a locksmith is optimal. When enlisting the aid in reinstalling locks, you are saving yourself time, hassle and potential damage. It is no easy task to install a lock properly and smoothly without damaging the surrounding or the lock itself. Our professionals at Best Locksmiths have the expertise, training and skill to provide any locksmith service you are in need of. With our state of the art equipment, and experience, we can apply the best techniques and methods to the assortment of options you have to invest in your home or business security defenses. Having an Emergency Locksmith Service Saved in your Contacts in Kenosha WI is a Great Idea! Preparing yourself to expect the unexpected is a good habit to get into when it comes to dealing with emergencies of any kind. Some of the most unexpected events that occur to people usually involve door lock problems, lost car keys and malfunctions with locking systems in your home, office or automobile. No one has time to deal with these situations and the best way to have them resolved as fast as possible is to have Best Locksmith as your number one source for emergency locksmith service. Unfortunately emergencies do not happen the exact moment that we have a free minute to deal with the situation. Emergencies that involve locks happen at all hours of the day. A lost car key can leave you stranded in a parking lot for hours while lost house keys can leave you standing at your front door at late hours of the night or early hours of the morning. 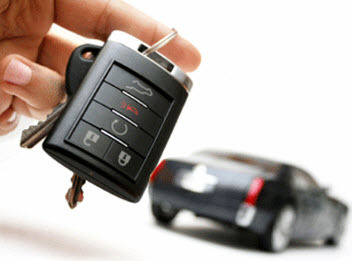 The best way to avoid being stranded for long periods of time is to contact Best Locksmith’s emergency mobile service. A professional locksmith is your only way to get into your car, your home or office when you have lost your keys or experienced a problem with the lock itself. It is most important to do your homework when deciding which emergency locksmith service to add to your contacts. 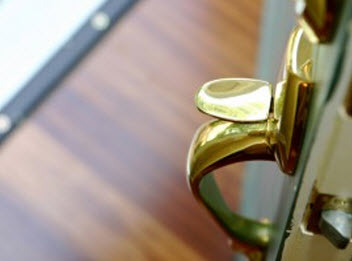 Best Locksmith is a fully licensed and highly skilled locksmith service that will provide you with the highest level of emergency locksmith service available. 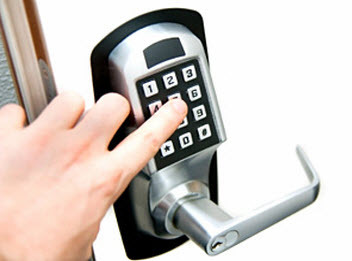 High security locking systems are designed to discourage theft and intrusions. If you are using high security locks in your home or drive the latest model of car, then they most likely have lock and key mechanisms that require specific knowledge and skills to repair or service. Best Locksmith is skilled and experienced in repairing all makes and models of locks to get you out of any lock or key emergency. Many people become embarrassed if keys are accidentally locked in a car or a key breaks of in a lock of your front door. The locksmiths at Best Locksmith service are skilled and experienced in dealing with these types of emergencies and will happily assist in getting you back on the right bath in no time. Do not hesitate to contact Best Locksmith service no matter what time of the day it is. Best Locksmith service is your number one choice for emergency mobile locksmith service in Racine, Kenosha, Oak Creek & Burlington Wisconsin. Improving your Kenosha WI Home Security; Lock Windows & Doors, Change or Rekey Locks, Install Deadbolts & More! It seems the more we resist, the more wrongdoers are making their way into our lives in one form or another. If you haven’t been a victim of a crime, chances are a loved one has. At the very least you have read tales of self entitled criminals in social media, news articles, or been exposed to it on your local news channel. There are a lot of emotions that impact you on such activities; anger, fear and sadness come to mind. Though, there is never a guarantee that a home break-in won’t happen to you, there are some steps you can take to minimize the chances. Best Locksmiths would like to relate some tips that can better fortify your home, to make it more difficult for an intruder to gain entry. 1. Changing Locks or Reykeying. If your home has ever been previously owned, or you have had to loan your key to anyone you were uneasy with, changing the locks or rekeying should be the first step. It is very easy to make duplicates of a key. Not knowing who has access to your home can be an overwhelming acknowledgement. Consult with a professional on the varying of choices you have quality locks that better fit your lifestyle. – Avoid Leaving Spare Keys or a Hide a Key in Obvious Places. Intruders can detect them easily, and have access to your home and the treasures within, with very little effort. If necessary, leave a duplicate key with a close, trusted neighbor. – Install Deadbolts. Deadbolt locks should be installed as well. Every exterior door to your home should be equipped with a deadbolt of at minimum, 1″ thick. Although deadbolts are a little more expensive than the more commonly utilized spring latch locks, deadbolts are far more durable and offer quality protection. Deadbolts need to properly installed for superior results. If you are not familiar with them, it is more optimal to hire a professional locksmith to efficiently install a deadbolt lock. – Security Bar for Sliding Glass Door. On sliding doors, not only should you keep them securely locked, but keep a metal bar in place of the bottom track. If an intruder is able to beat the sliding door lock, he or she can’t do anything about the metal bar. 2. Alarm Security Systems. If you do not already have an alarm system, get one installed. Many intruders are more likely to pass by the home equipped with an alarm system. Alarms set off, generally will get the offender on the run. Alarm systems quickly notify the authorities for a quick response. Having an alarm system heightens the security of your home substantially. – Cover Outdoor Security Wires. There are exterior wires to the home alarm system. If they are not already concealed, be sure to cover them up. If the wires are exposed and easily spotted, the criminal can simply cut the wires, rendering them useless. 3. Make it Look Like Someone is Always Home. Give the illusion of occupants. In most cases, burglars prefer to strike when no one is home. If your home is being scouted for long periods of time when your home is left unattended, that’s when they will strike. Instead, invest in automatic timers that will light up your home to give the illusion someone is lingering. – Install Outdoor Motion Sensor Lights. Having motion sensor lights near all entry points of your home can help give the intruder an incentive to move on. Most use the cover of darkness. With illuminated exteriors, scrupulous characters will be more reluctant to attempt a break-in. 4. Hide Expensive Items from Window View. Avoid placing high valued items in the view of your windows. If it can’t be avoided keep blinds down and curtains drawn. Don’t give incentives or coveted products to a thief looking for a quick score. – Lock Windows. An obvious step is keep the windows fastened. It is often overlooked, or sometimes merely presumed all the windows are locked. Take the few extra minutes to ensure the windows are properly locked can save your home from being victimized. 5. Check Door Hinges. Check all your exterior doors. If any of their hinges are found on the exterior, reset the door so the hinges are inside. Door hinges can be easily popped off. Our professionals at Best Locksmiths have received expert training, and with the years of experience they have accumulated, they are masters in the field. For all your locksmith services in Kenosha, Racine, Burlington & Oak Creek Wisconsin, contact our office today! Emergency Locksmith Near Me in Kenosha WI? Call our 24/7 Mobile Locksmiths! Typically when you think of emergency services, calling 911 comes to mind. Police officers, fire fighters, EMT’s all come to mind. Their individual numbers are listed on the fridge, or even programmed in our handy cell phones. But an emergency service that is often over looked, and leaves you in a panicked frenzy, is a locksmith. Emergency services could be required in an assortment of ways. Getting locked out of your vehicle, home, or business for instance. Having a child or even a furry friend getting locked inside an automobile or home is another example. No matter the circumstances, having a trusted, licensed, and experienced locksmith on speed dial would help better prepare you when a locksmith related disaster strikes. Best Locksmiths would like to inform you of some crucial information when it comes to getting the emergency locksmith services you require. – Preparing for a Locksmith Emergency. Following the boy scout rule of always being prepared, goes a long way. Before having the emergency, it’s best have a reputable company ready on speed dial to come to your aid. Unfortunately, there are shady people penetrating the locksmith industry. They take advantage of folks in a bind, and pull a number of scams; leaving you broke and with more trouble than a locked door. – Locksmith Rate Confirmation. Always confirm your rate. A lot of companies try to hook you with an extraordinary low rate, and then once they are have a long list of service charges, doubling or even tripling the cheap basic rate. Ask about all charges when contacting the office, and once the technician arrives, confirm the price. – Caution when Hiring a Locksmith. It is prudent to use caution when dealing with a locksmith for the first time. Where many companies come in plainly marked service vans, there are some who are switching to unmarked vans, due to their vehicles getting targeted for theft and vandalism. Always ask to for ID, and be expected to provide proof of who you are. Locksmith’s protocol is to confirm the person they are servicing belong to the residence, automobile or business as well. – Locksmith Drilling. A professional has mastered techniques, including lock picking and will only utilize the drill as a last resort. If they should use a drill initially, stop them before they proceed and inquire as to why, and if there is anything else that can be done first. There are a number of red flags that scam artists will attempt. If it don’t seem right to you, chances are they are not real professionals, and are only posing as one. The experts at Best Locksmiths has been masterfully trained, and have years of experience under their belts. Our team of professionals undergoes background checks and extensive interviews to become part of the trustworthy crew. We come equipped to your aid with the best equipment and technology to help you with any locksmith service, including our emergency 24 hour service. If you should find yourself in need of a locksmith, give our specialists a call today!